When it comes to parties, the Kardashians notoriously go all out. 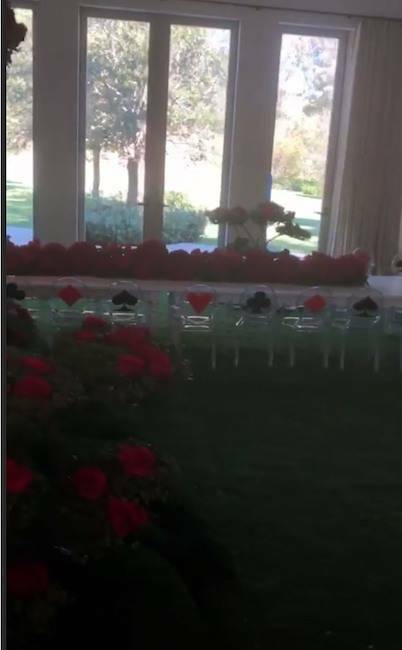 They had actual snow at their Christmas party (in sunny Los Angeles), a room full of hundreds upon hundreds of pink roses at Khloé Kardashian’s baby shower, and they routinely crush Halloween. And for Chicago West’s first birthday party on Saturday, January 19th, Kim Kardashian transformed her home into an Alice in Wonderland dreamscape. Luckily for us mere mortals, Kim documented the party on her Instagram Stories, which have since been preserved by Kardashian fan-run IG accounts. There was even a pint-sized banquet table for Chi and all her little friends. It’s like a baby #influencer event. Chrissy Teigen and Luna Legend were there, too, in case you were wondering. Maybe we’ll snag an invite next year. Maybe.